How do I receive a Federal Direct Loan? To apply for a Federal Direct Loan, you must complete and submit the Free Application for Federal Student Aid (FAFSA) and complete Entrance Loan Counseling, and a Master Promissory Note. Federal Direct Subsidized loans are based on financial need. Interest is paid by the government while you are enrolled at least half-time and during the grace period or period of deferment. Federal Direct Unsubsidized loans are not based on financial need. Interest begins to accrue within 60 days of disbursement. What is the Federal Direct Parent Loan for Undergraduate Student (PLUS) and how do I apply for one? The Federal Direct Parent Loan for Undergraduate Students (PLUS) is for parents of dependent students only. PLUS is a non-need-based federal loan available through the federal government. Awards are up to the cost of attendance per academic year, minus other aid. The U.S. Department of Education’s federal student loan program is the William D. Ford Federal Direct Loan (Direct Loan) Program. Under this program, the U.S. Department of Education is your lender. To be eligible for a federal student loan you will have to complete the FAFSA application and not be in default on a previous student loan. 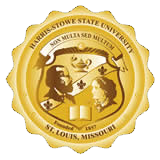 To receive a student loan at HSSU you will have to complete a student loan request form. This lets us know that you want a student loan, understand that you will have to pay it back, and how much you will need for the semester/year. You can find additional details about federal student loans at the Department of Education. Your loans will be submitted by the Department of Education to the National Student Loan Data System (NSLDS), and will be accessible by guaranty agencies, lenders, and schools determined to be authorized users of the data system. Are there other requirements for a student loan? Yes, you will need to complete and exit counseling at studentloans.gov once you leave the University for any Reason. This counseling will let you know what to expect moving forward and remind you of the rights and responsibilities you have regarding your federal student loans.